Keywords: hotel and restaurant infrastructure, resort and recreational infrastructure, oil and gas complex, human resources, development strategy. The article deals with the problems of the functioning of hotel & restaurant and resort & recreational infrastructure objects, which are subordinated to the domestic enterprises of the oil and gas complex. The emphasis is placed on the fact that in the sphere of management of Ukrainian oil and gas enterprises with full or predominant share of state property there are sanatoriums, recreation centers, hotels and health improving complexes, the main task of which is to organize services of accommodation, meals, rest, treatment and rehabilitation of workers. As a result of conducted research with using the objective characteristics of sectoral infrastructure services, the expert survey identified the main problems of their operation in market conditions, which are mainly related to the high degree of depreciation of the passive part of fixed assets and the shortage of personnel whose professional qualifications meets the needs of the institution and the requirements of a competitive market environment. 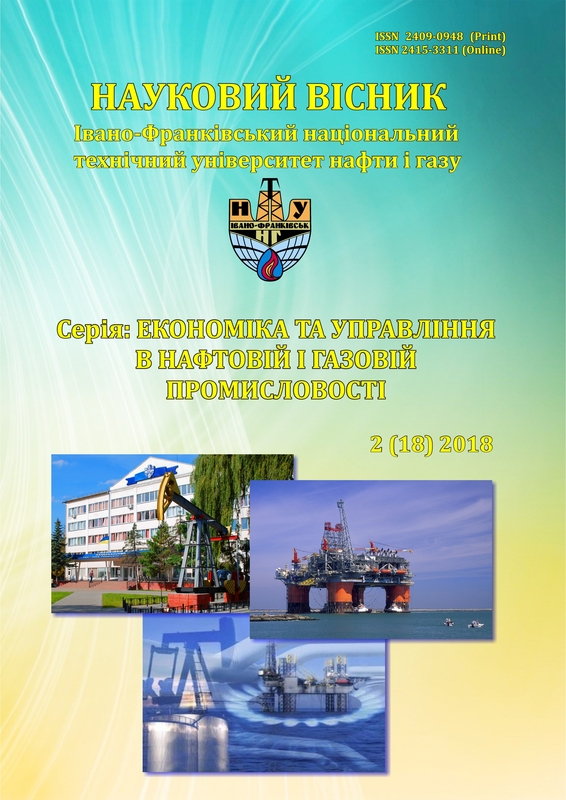 In order to increase the efficiency of using the hotel & restaurant and resort & recreational infrastructure potential of the domestic oil and gas complex, the priority measures related to the necessity of forming a substrategy of the development of service sector objects with an emphasis on the development of their human resources are proposed. 1. Крижанівський Є. І. Організація безперервної освіти персоналу нафтогазової галузі України – головної умови збереження і нарощування її конкурентноздатності / Є. І.Крижанівський, А.П. Андибур, І.М. Данилюк-Черних, В.П. Петренко // Нафтогазова галузь України. – 2014. – №4. – С. 3-8. 2. Данилюк-Черних І. М. Стан системи розвитку персоналу вітчизняних нафтогазових підприємств та організацій / І. М. Данилюк-Черних // Актуальні проблеми економіки. – 2014. – №9(159). – С. 305-313. 3. Кісь С. Я., Кісь Г. Р., Гнатюк І. А. Роль післядипломної освіти у професійному розвитку працівників підприємств нафтогазового комплексу. Економіка промисловості. – 2018. – № 2 (82). – С. 118–129. 4. Офіційний сайт АТ «Укртранснафта». Про компанію. URL: https://www.ukrtransnafta.com/zagalna-informatsiya/. 5. Офіційний сайт АТ «Укртрансгаз». Про компанію. URL: http://utg.ua/utg/about- company/utg-today.html. 6. Офіційний сайт АТ «Укргазвидобування». Про компанію. URL: http://ugv.com.ua/uk/page/pro-kompaniu. 7. Офіційний сайт АТ «Укрнафта». Про компанію. URL: www.ukrnafta.com/pro- kompaniyu. 8. Національний класифікатор ДК 003:2010 «Класифікатор професій», прийнятий наказом Держспоживстандарту Українивід 28.07.2010 № 327 зі змінами. URL: http://www.ukrstat.gov.ua/klasf/nac_kls/op_dk003_2016.htm. 9. Паспортпідприємствафілія «АГРОГАЗ». – К., 2016. – 45 с.